If your vehicle needs a touch up or a full paint job, our experience and equipment along with quality paint products will have you feeling like you are driving off the showroom floor! With over 40 years of experience, Axalta Chroma Premier computerized paint mixing system, color matching and our lifetime warranty on paint products, there’s no need to go anywhere else! 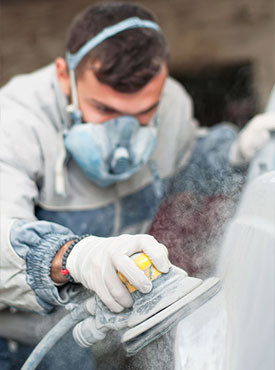 Let Trademark Collision paint your vehicle with our Axalta Chroma Premier computerized paint mixing system. As one of the best pieces of painting equipment in the industry, our system has revolutionized the level of quality and attention to detail that we can give you. Let us bring color back to your automobile. Get consistent honesty, integrity, and quality painting for your vehicle when you choose our services!